There were two 1- star restaurants in Warsaw. 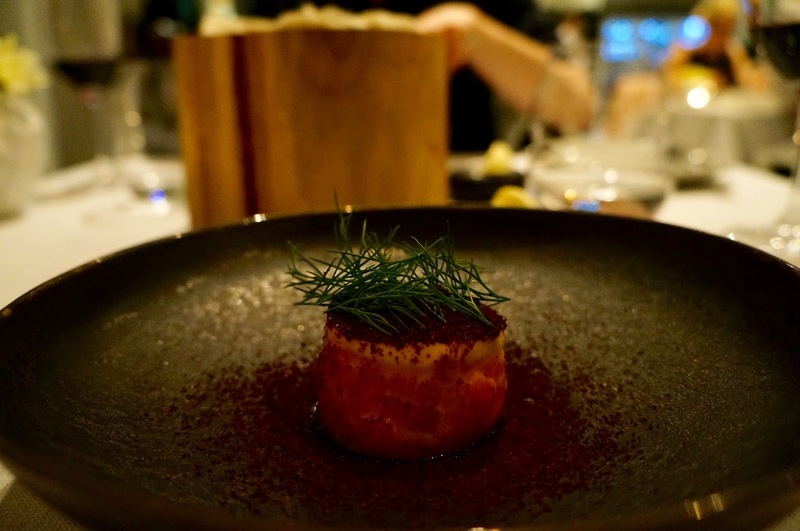 Since it felt somewhat overindulgent to try both on consecutive evenings, we went with Atelier Amaro, the first in Poland to receive Michelin recognition. The restaurant was glowing in a warm hue at the edge of Lazienki Park, it boasted an intimate dining room with a fairly relaxed ambience. The Maître D greeted us with his practiced introduction and enthusiasm. With a slightly confused body clock, neither of us were particularly hungry. We went for the 6-moments menu, missing out on the tomato starter, saffron milk cap with truffle and blueberry dessert. Our sommelier brought us two wines to try, Hungarian and Italian. We were pleasantly surprised by the Hungarian red, light and flavourful with subtle peppery notes. 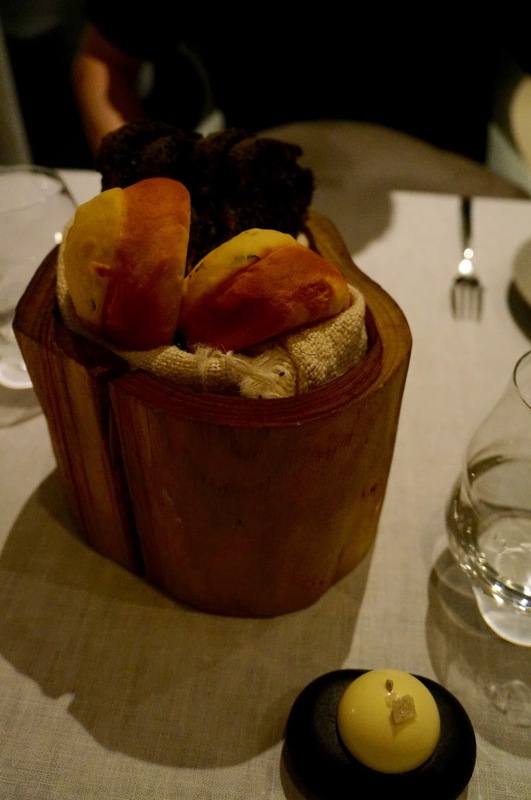 The amuse bouche selection was of incredibly high standards; they were experimental with textures and temperatures, catering for all senses. I have fallen in love with herring since my days in Siberia, so the tiny cube of bouncy fish stood out for me, as did the black pudding sheet that melted in mouth, blended beautifully with the dark cocoa bitterness. 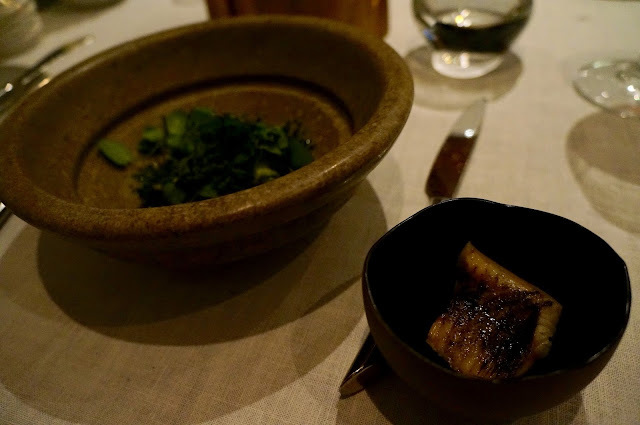 I could smell the smoky fragrance making its way to our table; the eel fillet was served separately to the leafy salad with cucumber ice shaving, a playful contrast between the cooling icy herbs and sizzling charcoaled eel. 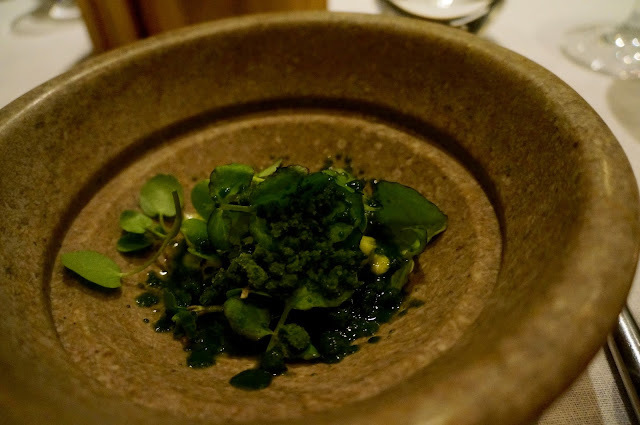 Though small, the fatty eel was bursting with fragrant fish oils, beautifully complimented by the herby leaves and its hint of smokiness from its charred edges. Loved it. This was pretty much a trout tartare, dressed in a slightly citrusy Mirabelle plum juice, topped with a layer of mild horseradish cream. 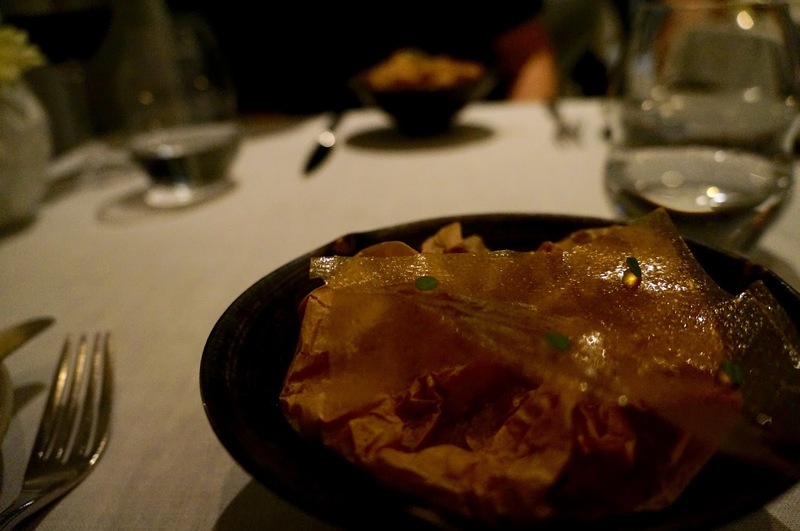 The raw cubes of fish were fresh with delicate, its rich oils alleviated by the refreshing dressing. 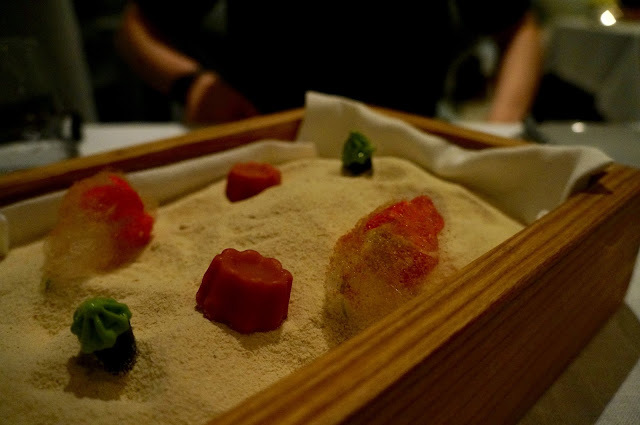 Perhaps not the most creative course, but there was a good balance of flavours. 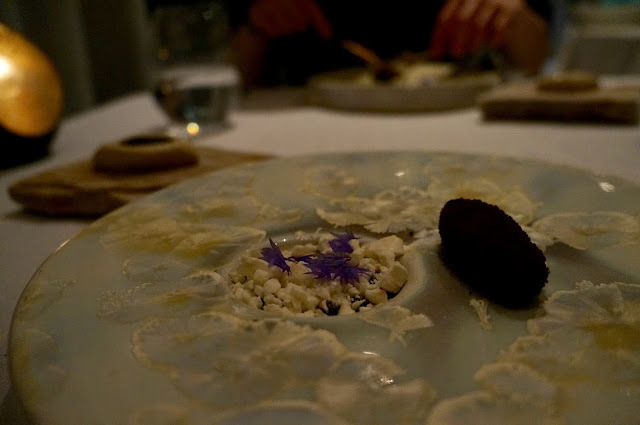 The photo doesn’t give much away except for the edible flower. The small pile of crumbly goat’s cheese was doused under a sweet, tangy raspberry coulis. It’s a variation to the conventional combination of goat’s cheese and caramelized onion. The combination of rose essence and raspberry created an artificial taste that reminded me of cough medicine, and I think it accentuated the pungent taste of goat’s cheese as opposed to reining it in. We didn’t enjoy this much. Turbot is one of my favourite fish and it would have been a delicious course with this savoury nutty sauce. 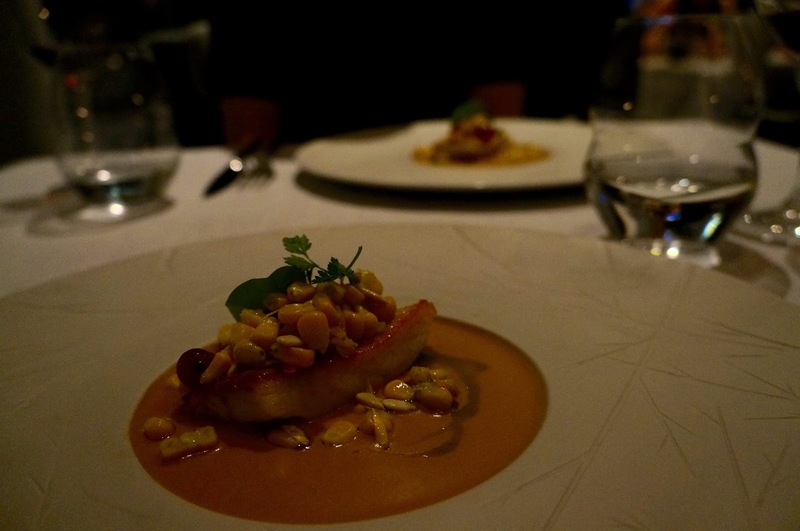 But I felt the pile of sweetcorn overwhelmed the understated sweetness of the fish, and destroyed the layers of flavours in the composite. My view is that sweetcorn is an unsophisticated ingredient; it has a distinctive crunchy sugary sweetness that can hardly be masked or get whipped into a finer component. In my humble opinion, it should probably be limited to minute quantities in more elegant recipes. 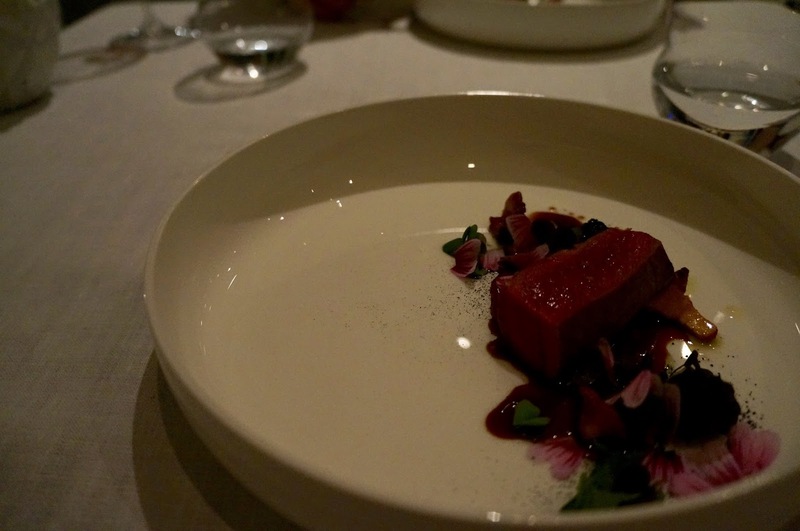 The venison fillet was served medium with a beautiful ruby centre; the meat was soft and juicy with gentle gamey goodness. 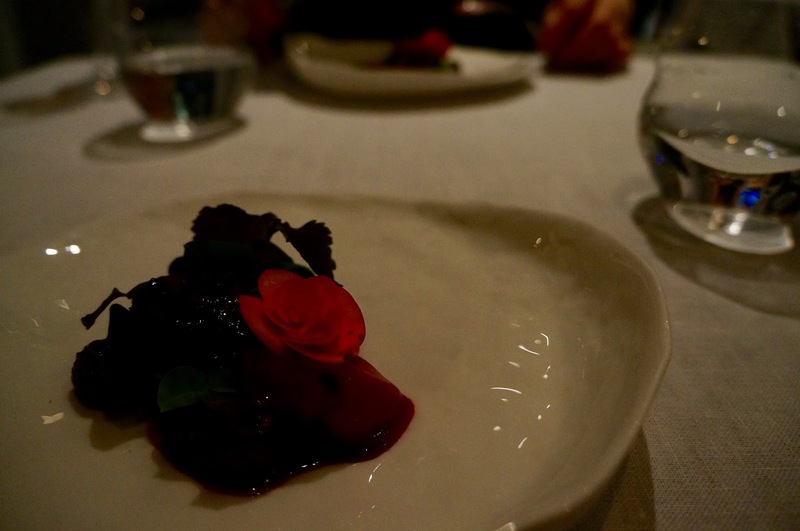 There was a touch of autumn-ness to the composition with the girolle mushrooms that paired agreeably with the zesty blackberry sauce. Egg Plant was an unlikely ingredient for dessert; we were pleasantly surprised. The flavours of halva, which was a creamed sesame paste, matched perfectly with the earthy egg plant to create this Mediterranean-esque sweet. 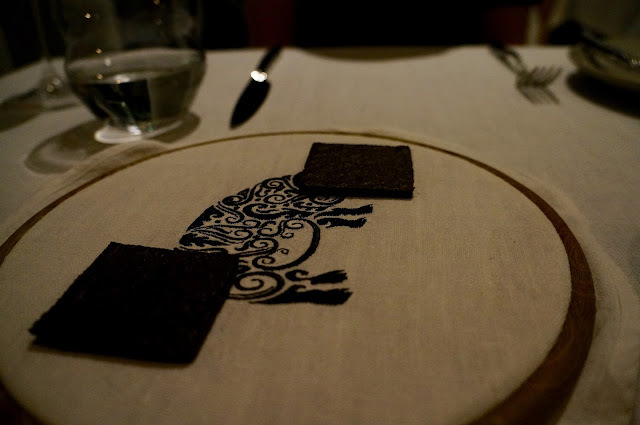 Despite a couple of misses, we still enjoyed our evening at Atelier Amaro. Possibly because it was the first time in weeks since I had a meal in a decent restaurant (there’s only so much train and station food one could survive on). 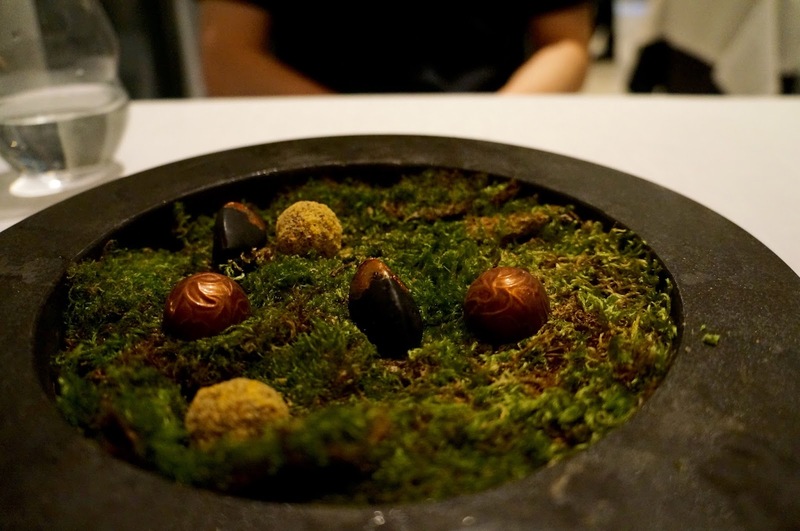 The amuse bouche probably set our expectations unrealistically high; though the courses that followed were energetic and vibrant, not all of them were as elegant or bold as the innovative tastebud teasers. Nonetheless it was great to experience Polish cuisine beyond the traditional pierogi and potato cakes.